Authorities conducted extensive forensic tests Saturday looking for the source of a nerve agent that sickened two people thought to have handled a contaminated item from the March attack on a Russian ex-spy and his daughter. [post_ads]A police officer also underwent a precautionary test at a hospital to check for possible contamination related to the case, but Wiltshire Police said late Saturday that he had been cleared. The man and woman poisoned a week ago are in critical condition at Salisbury District Hospital, which is also where Sergei and Yulia Skripal spent months being treated after they were poisoned. Authorities have said all four were sickened by Novichok, a nerve agent weapon developed by the Soviet Union during the Cold War. Officials have said the search could take weeks or months. 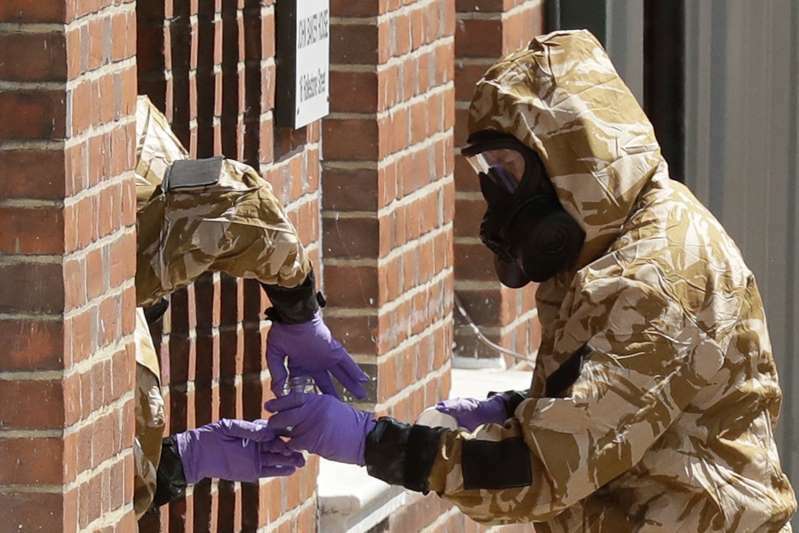 It has brought more than 100 officers to Salisbury and the nearby town of Amesbury as suspect sites are condoned off to protect the public from possible contamination. The police officer given the all clear underwent "appropriate specialist tests," the Salisbury hospital said. The hospital did not say whether the unidentified officer might have been exposed to Novichok. But a statement said the officer initially sought medical advice at another hospital "in connection with the ongoing incident in Amesbury," which is where the latest victims developed symptoms of Novichok poisoning. The Salisbury hospital added that it "has seen a number of members of the public who have come to the hospital with health concerns since this incident started and none have required any treatment." "We would like to reiterate the advice from Public Health England that the risk to the wider public remains low," the hospital said.